Pizza has to be one of the best meals, right? It’s easy, it’s cheesy and luckily we have plenty of great local options in the Duluth area! Some of our top picks are not traditional pizza joints (they serve a broader menu) but we didn’t want to limit ourselves on the road to find the best pizza! In no particular order, here are our favorite pizzas in town. Share your favorites with us by using hashtag #duluthloveslocal. We are always on the lookout for recommendations! This is traditional Neapolitan style wood fired pizza, and it is SO good. 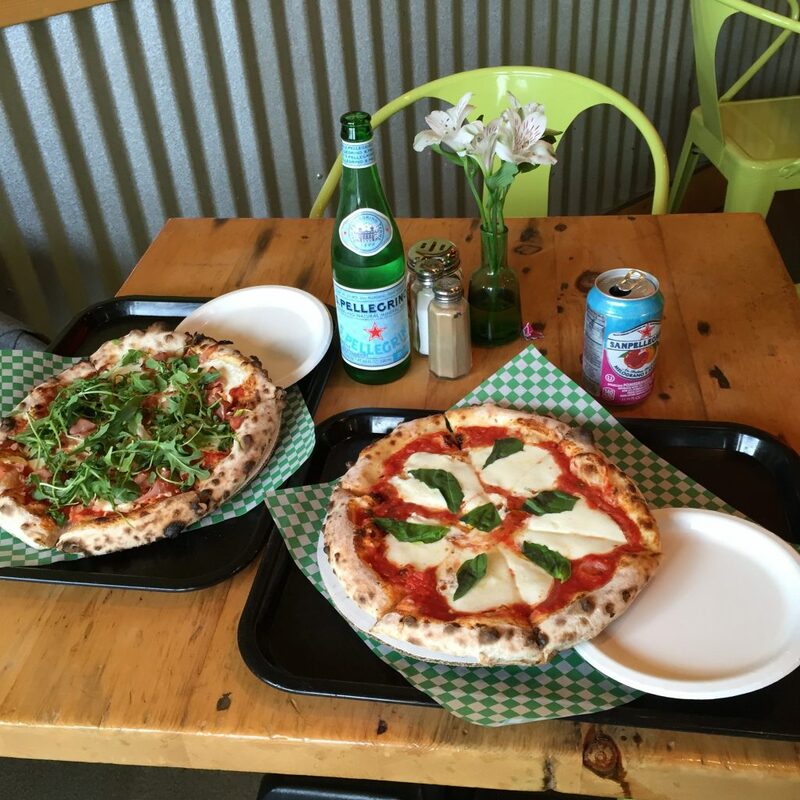 Our two favorites from the large menu are the Margherita pizza (mozzarella, tomato sauce and basil) and the Tomasso pizza (prosciutto, goat cheese, pepperoncini peppers and arugula). 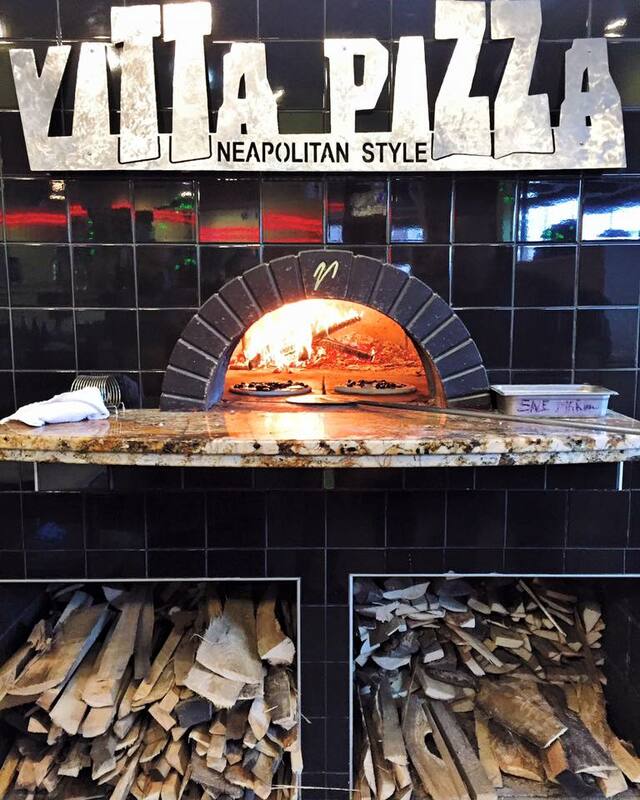 Vitta Pizza is nestled in Canal Park and offers outside patio seating in addition to tables inside the restaurant. 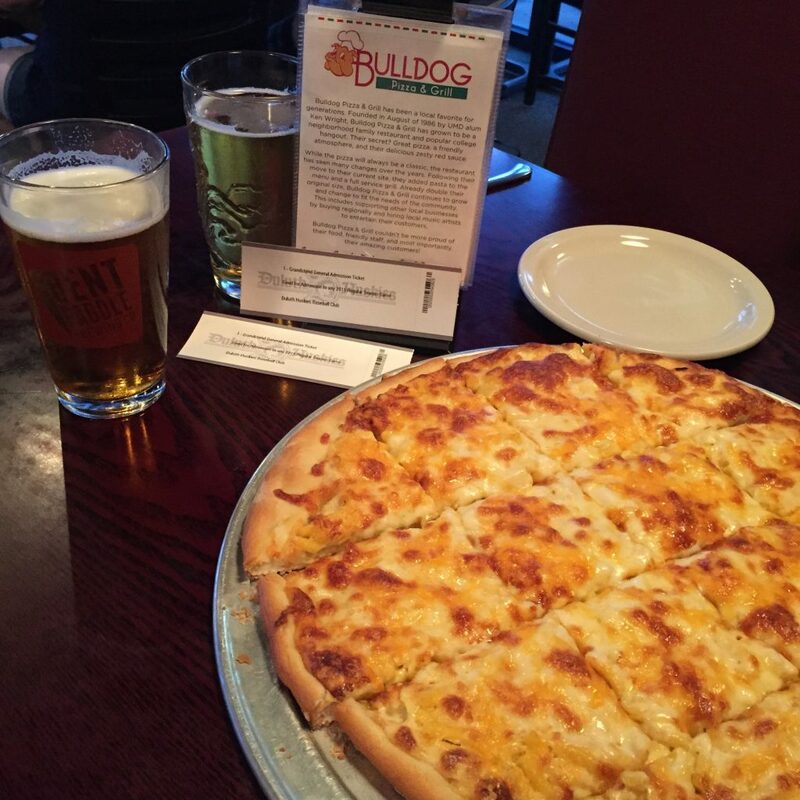 Bulldog Pizza is a mainstay of Mount Royal in Duluth. Pizza is just the beginning, they have a lot more than their name suggests! 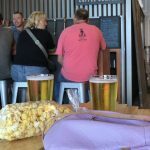 Live music, local brews (and wine! ), burgers, sandwiches, salads and, of course, plenty of pizza. Bulldog has been experimenting with really interesting pizza menu items, including several we haven’t tried, like the pickle pizza. 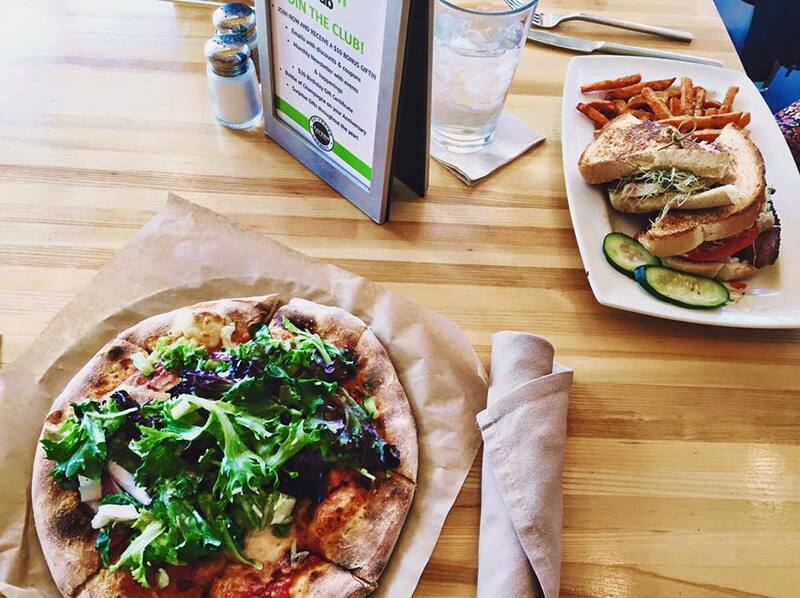 Bulldog is an ideal lunch spot, we like to take advantage of the 7″ one topping pizza and side salad combo for $8.00. When we go at night it’s almost always for a cold beer and a mac n’ cheese pizza. 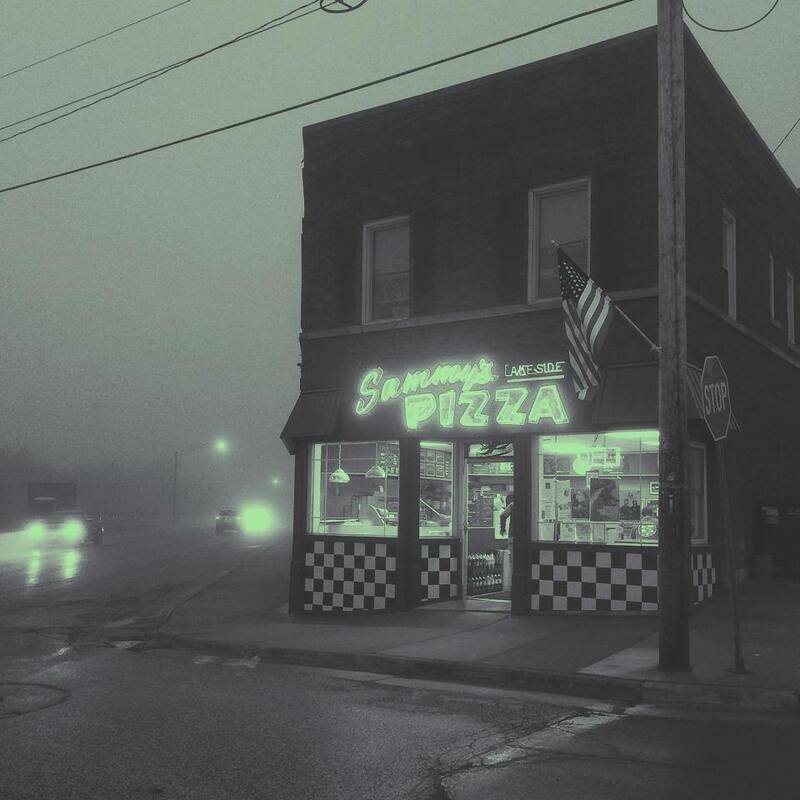 Sammy’s Pizza is perhaps the most well-known local pizza place in Duluth and surrounding Minnesota cities. 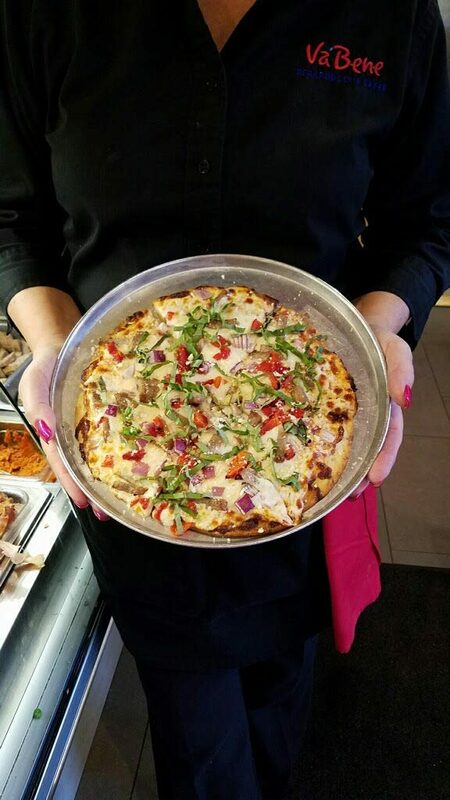 There are more than a dozen locations around town and throughout the Midwest, but our favorite is Duluth’s Lakeside location, if only because they make mac n’ cheese pizza! 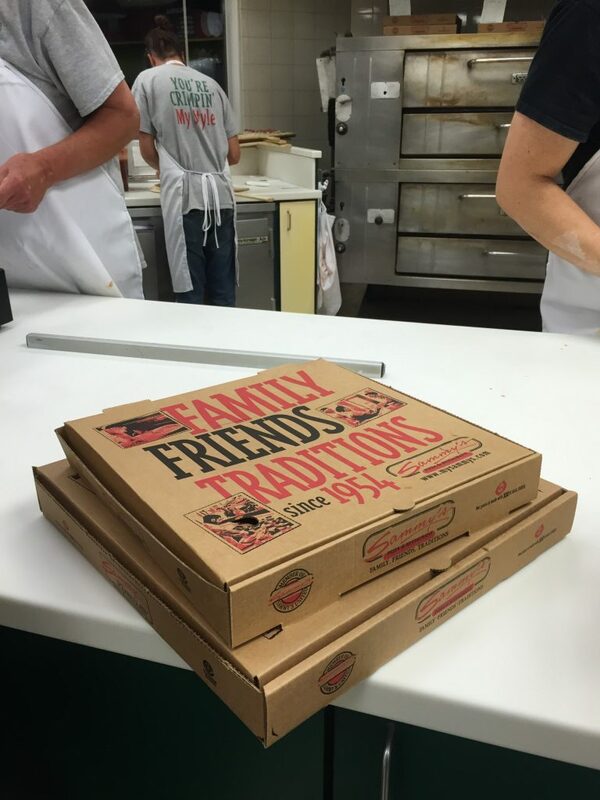 It’s hard to narrow down our favorite pizza at Sammy’s – they’re nearly all classics – but on the top of the list is the crew special and the veggie special. The broasted chicken is not to be missed. Insider tip: we always get a side (or 3) of the red wine vinaigrette salad dressing to dip our pizza in! Tavern has quickly become a local hot spot since opening in 2014, and with good reason! 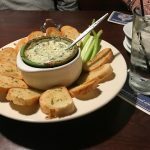 They have great drinks, an awesome patio (with fire pit) and a large, creative menu that is sure to make all picky eaters happy. We’ve worked our way through most of the menu, and one dish we keep going back to is the lettuce be real! pizza. At first we were hesitant about lettuce on pizza, but with the homemade roasted garlic vinaigrette, it works – and makes us feel healthy! Go ahead and order the pub pretzels while you are there…it’s not pizza, but the beer cheese dipping sauce can’t be missed. 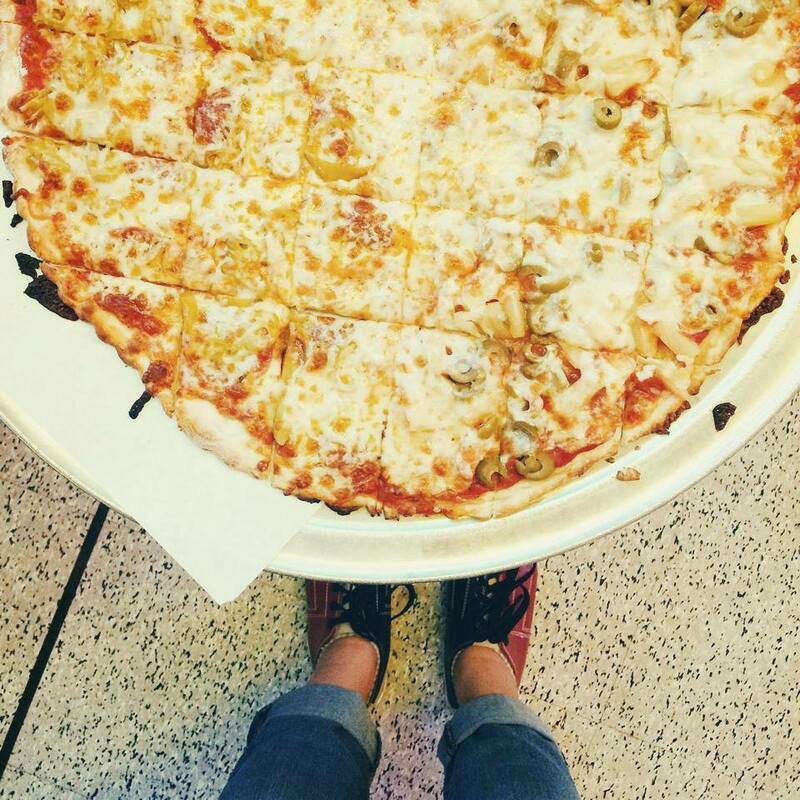 There’s no pizza like bowling alley pizza. You know what to expect here, and it’s not the fancy-pants lettuce variety. Sometimes you just want a big, cheesy pizza, and that’s when you go up to Skyline Lanes and order Dave’s Pizza. 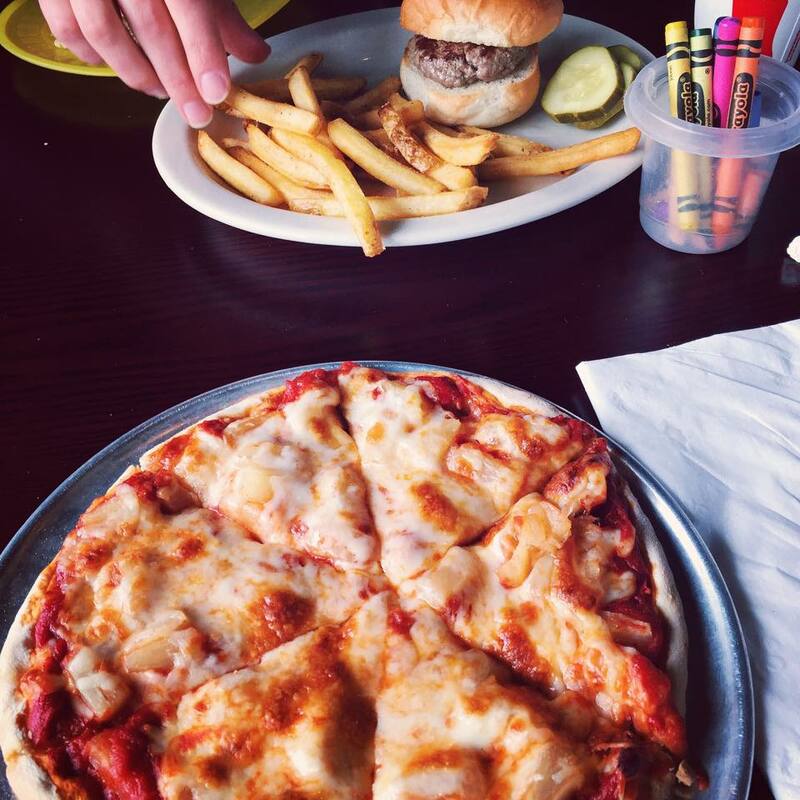 We love bowling alley pizza because you get to play games while you wait for your meal! You can’t go wrong with a basic cheese or pepperoni pizza, but we especially love the carnivore (pepperoni, Italian sausage, Canadian bacon, seasoned beef and smoked bacon). You can’t talk about Twin Ports pizza without talking about Thirsty Pagan! 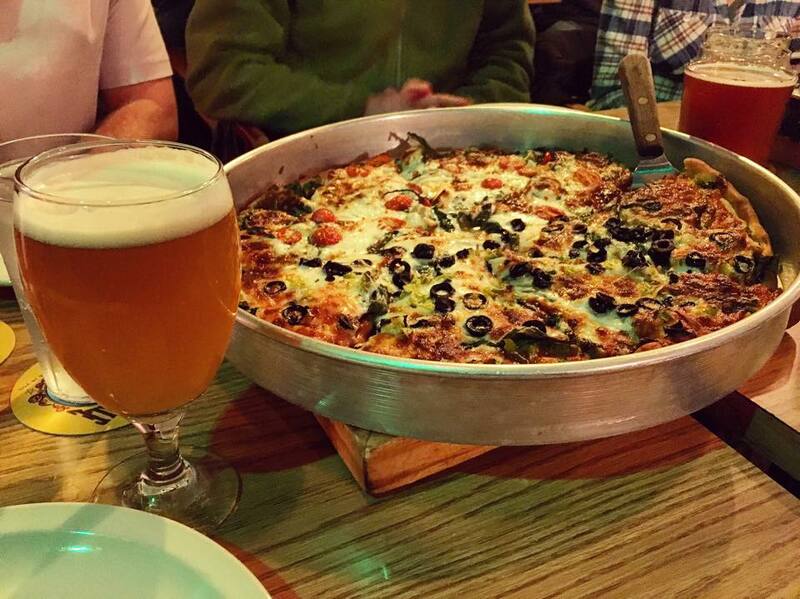 They are worth the trip over the bridge for their rich deep dish pizza and housemade beer. Our two favorite pizzas are the derailed (sausage, pepperoni, salami, ham, black olives, mushrooms, onions, green peppers, spinach, garlic & pepperoncini) and the Mediterranean (feta, spinach, garlic & sun-dried tomatoes) but you can never go wrong with a build your own. Va Bene is known for many things, but we aren’t sure pizza is on the top of the list. It’s a well kept secret that we hope to expose! Va Bene features an energetic dining room where you can see the cooks preparing fresh Italian dishes. 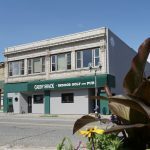 They also boast spectacular lake views from their outdoor Solarium (open year round) and our favorite party room in town, an intimate upstairs venue called Soffitta. We tried the Phillippe (tomato sauce, mozzarella, parmesan, Italian sausage, red onion, roasted red peppers, and basil) and the fresca (mozzarella cheese pizza topped with fresh tomato, basil, balsamic vinaigrette and field greens).